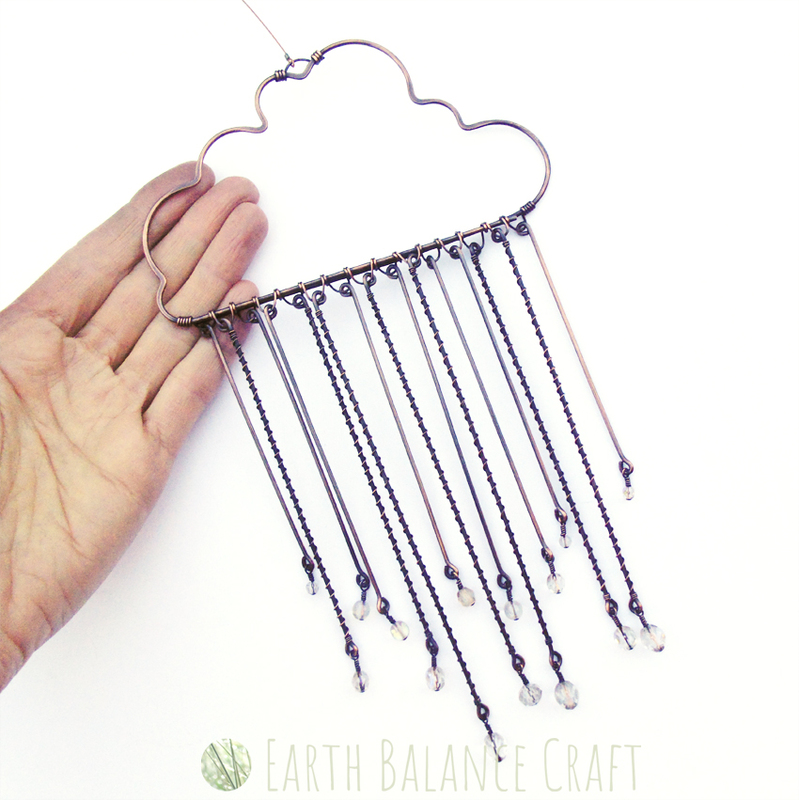 My latest weather inspired design is the mighty ‘Storm Cloud Suncatcher‘. This piece is inspired by beautiful black skies and torrential rain. I may be the only one out there to have a passion for rain, as I find my most serene and calmest moments are during rainfall. The sound and heaviness has always drawn me in. Especially when I am down on the beach and the pitter patter of rain drops falls onto the ocean. One of my most vivid memories is when out on sea in a kayak, off the south coast on the Isle of Wight, it started to rain heavily and I was surrounded by glittering rain drops as they plopped into the sea water. The rain drops were so cold compared to the sea water and the sound was incredible. It was a magical moment, such stillness within so much movement. I cannot even begin to describe my experience in words! So this design pays homage to that memory. 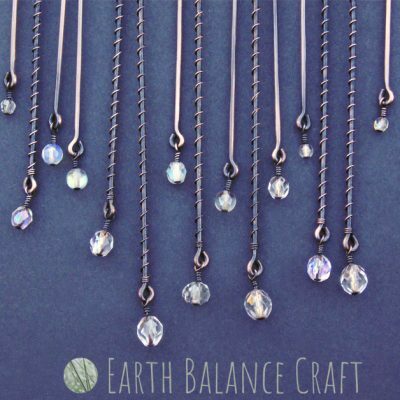 The design has two kinetic aspects, each of the 15 droplets is hung from the cloud, and each of the 15 Czech glass beads are hung from the bottom of the droplets. 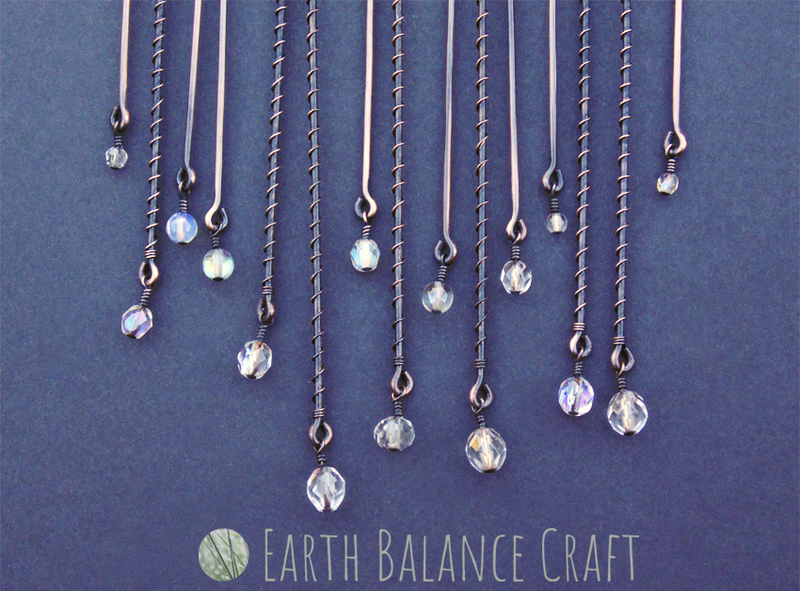 Making 30 kinetic parts that will gently sway with movement as the air moves around the home. Visit this design in the webstore. 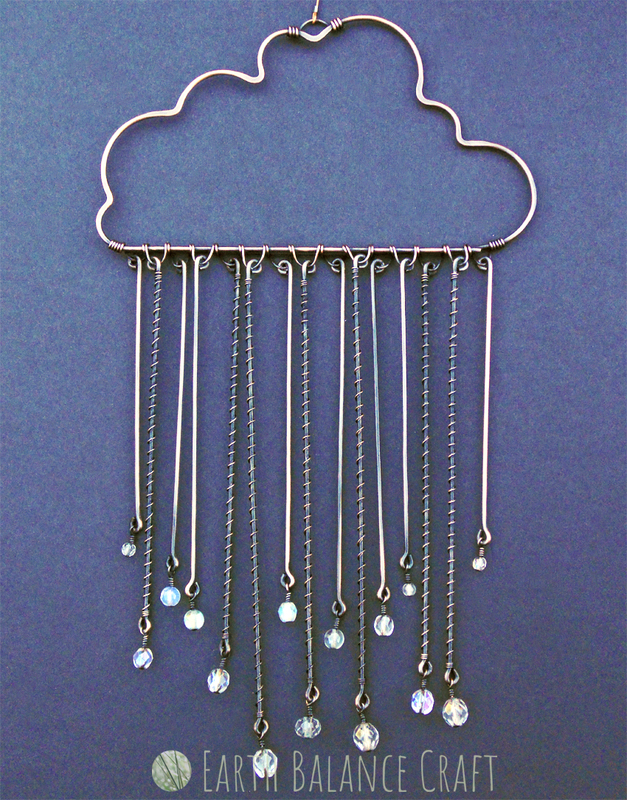 For more weather inspired designs from rain drops to, clouds, lightning and storms, visit the webstore.